By Randy Donack on 03/09/18 • Leave a comment! 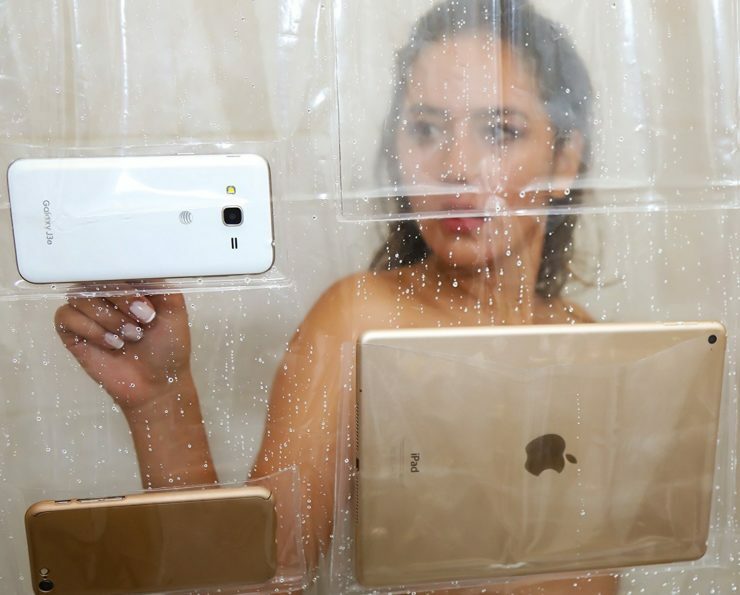 Ever wanted to use your phone in the shower? How about your tablet? If you answered yes, you should probably reevaluate your dependence on technology. But there’s finally a solution to make your addiction a little more bearable. What you see is what you get folks, there ain’t much for me to describe here. It’s a clear shower curtain, made of PVA, with pockets for you to stick your gadgets in. It even includes various pocket sizes to allow you to use tablets or smartphones in a horizontal or vertical position. In case you are wondering, by the look of it, the thing seems to have 17 pockets to store gadgets. Maybe it’s just me, but that seems a bit overkill, I think 12 or even 9 pockets would’ve been enough. Unfortunately, It’s currently unavailable on Amazon, but that’s probably a blessing in disguise. By Randy Donack on 03/07/18 • Leave a comment! Have you ever thought that regular knives get a little too boring? I mean, sure they’re sharp and all, but there’s not much to get excited about in the advancement of knives. Well, now you make your own knife out of pasta. YouTuber and cutlery lover Kiwami Japan shows us how you can take regular pasta and turn into it’s own dicing tool. Now, basically he just hardens some pasta in a knife mold and spends the next 16 months sharpening it on a whetstone, but it’s still a lot cooler than whatever you did last weekend. Oh, and when you done using you fine Italian cutlery to slice tomatoes for a sauce, you can boil the knife itself for a hearty meal. By Randy Donack on 03/06/18 • Leave a comment! 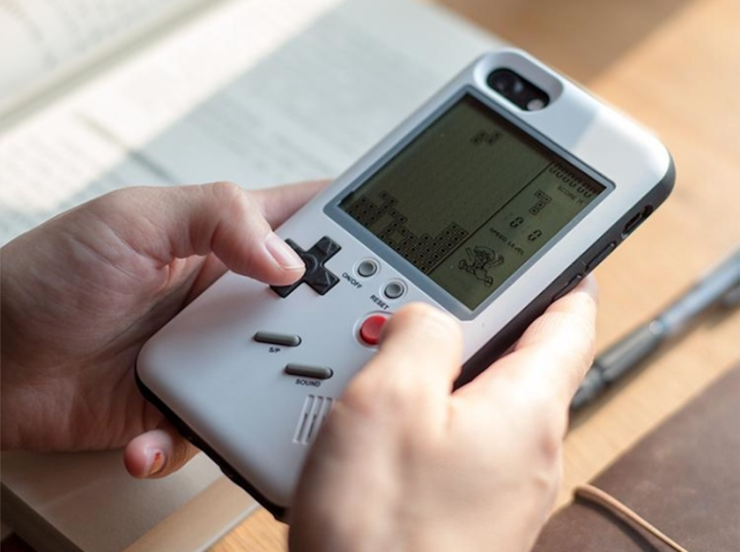 This is the Wanle Gamers Console for iPhone, it’s an iPhone case that does double duty as a Gameboy clone with pre-installed games. You know, in case you ever wanted to play a dumbed-down version of Tetris on the back of your $1,000 smartphone. As you can imagine, the Wanle attaches to your iPhone like any normal case and allows you to select from 10 pre-installed games including Tetris, Tank, Formula One Racing, Snake & Block. And in addition to raised physical buttons, it even comes with a small speaker to playback that glorious 8-bit Tetris theme. Now, obviously playing Tetris on a super thin, cheap iPhone case isn’t going to be the best version of the game, but it still looks fun. Does anyone remember fun? It’s available now for a very reasonable $25 and works with all modern iPhones. Sorry Android users, but technically it doesn’t have to ‘fit’ your phone in order to play games, so just grab a roll of tape and make that sucker work for you. By Randy Donack on 03/05/18 • Leave a comment! This is the Canon Speedlite 470EX-AI, it’s a flash that you attach to your DSLR for better light. Normally, I wouldn’t talk about something so boring. But this ain’t your granddaddy’s boring old flash, this guy’s unique, like your cousin with the hyphen in his name. This flash has motors that allow it to automatically change its position and direction for the best light at that moment. Depending on the shot you like, the flash can rotate to do things like bounce light off a wall to the side for a softer light. Now, if automatic isn’t your thing, you can manually adjust the position of the flash, but knowing myself, I’d probably mess up shots so bad the flash would automatically adjust itself anyway. Now, $400 may seem like a lot, but just think of all the things that cost more than this flash, when you look at it that way, you really can’t afford not to buy one. By Randy Donack on 02/27/18 • Leave a comment! You know what’s worse than going for a soda and realizing it’s warm? Probably a lot of things, but offering warm cans of soda should be considered a class 2 social felony. Well, now you can cross having warm soda off your list this summer with the Deep Freeze. 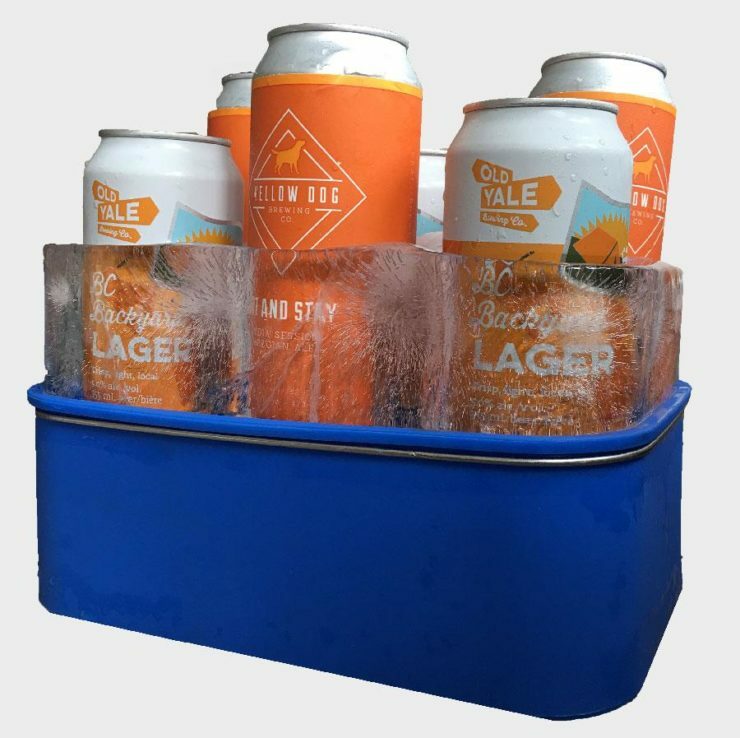 It’s an ice mold that makes a single large block of ice with spaces that perfectly fit 6 cans, allowing them to quickly cool down. The cans are recessed into the ice block allowing it to make much more contact with the ice. The ice tray itself can even be used as a stand so you don’t wind up with a puddle of water on your picnic table. For $25, it’s not a bad deal for something that makes cooling and presenting cans easier at your next BBQ. Or, you know, you could just buy a $3 bag of ice, dealer’s choice. By Randy Donack on 02/26/18 • Leave a comment! Ok, so toys that you can mindlessly play with have become incredibly popular over the past year (e.g. fidget spinners), but that doesn’t mean every two-bit idea has to become a disturbing reality. Enter the Pop It Pal. 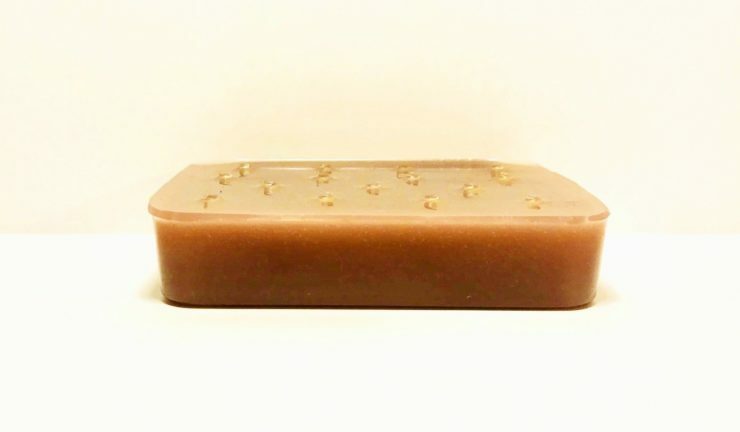 It’s a silicone bar-of-soap shaped atrocity which you squeeze to replicate the feeling of popping a zit. I hate everything about this thing; I hate the idea, I hate the images and numerous GIF’s of it in action, I even hate the creator just for good measure. It’s an unholy creation that serves only a testament to man’s hubris. Besides, if I wanted to relive the countless hours standing in-front of the mirror squeezing my face as a teen, I’d just start eating greasy food again. At least it’s more appetizing. Each Pop It Pal kit will set you back $20, and if I catch wind that any of you bought one, I’m calling your mom’s. Wood You Care For A Wooden Turntable? 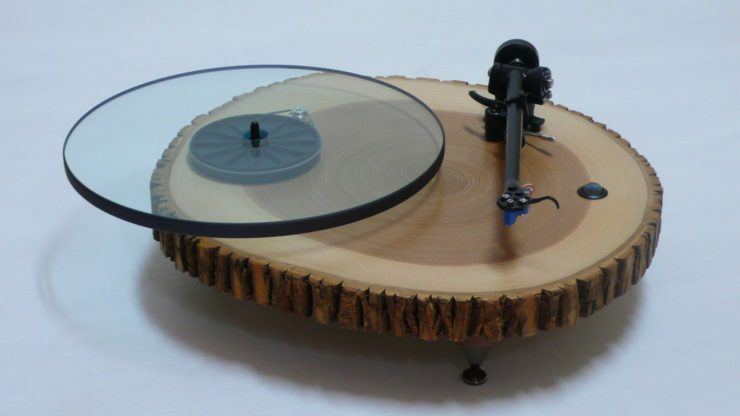 This is the Barky Turntable, it’s not your ordinary turntable as this one is made from a solid ash round. That’ll show the boys down at the YMCA that you have tons of class. Each turntable features high-quality (and pricey) components that individually cost more than turntable, such as a high-quality tonearm, cartridge and even power supply. Seems like a pretty fun way to play your favorite songs like Norwegian Wood, Out of the Woods, Rocking Around The Christmas Tree, and other non-tree based songs I suppose. Now, being of a high-quality nature, the turntable will set you back $2,500, but if that’s a little high for your budget there’s also a version made out of concrete for $1,600. Rock on. Papers, Please is a hit indie game that turns players into border checkpoint inspectors for the faraway land of Arstotzka, the fictional country based on the Soviet Union. It’s a surprisingly fun game with themes surrounding the enforcement of cold, bureaucratic police states. Well now, there’s a short-film based on the game. At 10 minutes, it’s rather short, but include all of the major details and emotions of the actual game. I don’t want to spoil anything more, so just check it out. Hit the jump for the video and be sure to turn on English subtitles. By Randy Donack on 02/23/18 • Leave a comment! Bill Gates is a pretty wealthy dude, last time I checked people are still using Microsoft after all. And all that money kind of clouds one’s ability to understand money. 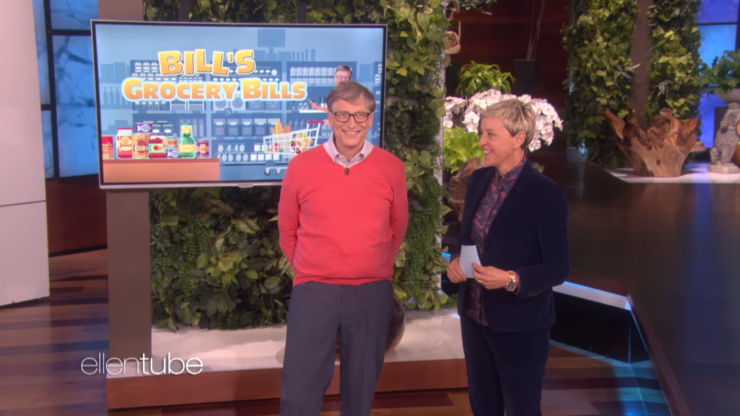 Well here’s Bill Gates on Ellen trying to guess the prices of 5 common grocery store items. Spoiler alert: the billionaire doesn’t quite know the price of rice.